The book which influenced the way I write history the most is probably not a medical history book, but a pretty dense tome called Citizen, State, and Social Welfare in Britain 1830-1990 by the late Geoffrey Finlayson. It tracks the changes in the relationship between government, philanthropy, commerce and individuals over two centuries of British history. Importantly, though, it also asks how the concept of ‘citizenship’ changed over that time. In my own way, I’ve tried to follow his lead by seeking to weave a social history of ideas into my narrative of what happened and why. In my case, that means not only asking about the practicalities of paying the hospital before the NHS, but also exploring the myriad meanings attached to the act of payment. I’ve spoken about the research presented in this book all around the UK and in Dublin, Cologne and Austin, Texas. 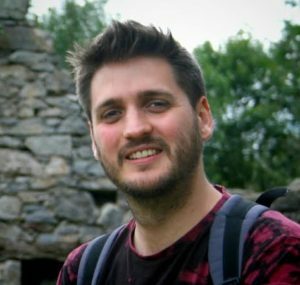 But the research was focused on my home city of Bristol, so I can’t honestly say the research took me to the most exotic or unexpected places. I really should have made it a comparative study with the hospitals of Havana. Missed a trick there! Something that surprised me was that the book ended up shorter than I expected. As the process went on, I honed in on exactly what I wanted to say and what I was writing became more concise as a result. It was rather enjoyable to realise I really knew what I wanted to say. Whether it’s so clear to the reader? I guess you’ll have to tell me. As ever, the hardest thing is to recover lost voices and perspectives, particularly of those who were given the least say in their own time. It’s easy enough to write a history of why hospital governors introduced payment schemes, to explain the ways in which social workers administered them. But it’s far more slippery to pin down how patients felt about being asked to pay. We can read backwards from their behaviour, what they did and what they resisted, and occasionally we can recover their own words. But that’s not an easy thing to do. It was only rather late in the day that I came across the work of Viviana Zelizer and others in the New Economic Sociology. Her book The Social Meaning of Money might have provided me with a fitting vocabulary, but by that time I had already developed my own. So finding a way to pin down and express the ideas and attitudes that were so everyday and commonplace in the past that they didn’t need names was probably my biggest challenge in writing this book. This is my first monograph. I’ve previously co-edited volumes of essays and had journal articles and chapters in collections published, but this is the first one I can really call “my book”. It was great to see the book I’ve been living with for so long exist as an actual thing. But I’m also a little sad about the fact my nan won’t see it. I started looking into this topic when I was a History undergraduate. I told her I was taking some optional modules in something called ‘social policy’. When I explained to her what this was and that I was writing an essay on Lloyd George’s national insurance scheme, she asked me to explain why as a child she had to walk miles up and down the hills of Bristol to get a dispensary ticket from the vicar to exchange for medicines for her sick father. Why was there no NHS back then, she asked? She saw the doctoral thesis I wrote to answer her question, but it’s a shame she won’t see the book. I’ve had my eye on MUP for a while, as a publisher with an impressive catalogue with a long list of excellent titles in medical, social and cultural history. But for this book, I actually signed up with the Society for the Social History of Medicine and their book series, who recently made the fortuitous move to MUP. By the time this happened, I already had MUP in mind for my next book, but I’m very happy to be publishing with MUP sooner than expected. So you’ve already started thinking about your next research project then? What are you working on now? I’m taking a step on from the research behind this book in two ways. One is by following the story on to the next chapter. Instead of asking what it meant to pay the hospital before the NHS, I’m looking at what it has meant to have a ‘free’ health service in Britain since 1948. This was at the core of my contribution over the last couple of years to the large Wellcome Trust funded ‘Cultural History of the NHS’ project at the University of Warwick, headed up by Professors Roberta Bivins and Mathew Thomson. I’m also beginning to lay the foundations for a project outside the history of healthcare, but building on this book by asking further questions about the contested meanings of charity and its complex relationship with commercial practices. In this case, my plan is to write the (surprisingly first) history of charity shops. 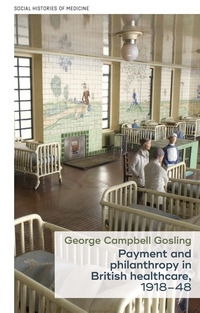 Payment and philanthropy in British healthcare, 1918–48 is available to buy now! Category: Author Q&A, Blog, History, Medicine, Publishing industry, Sociology	0 Comments.